This story was originally published by Atlas Obscura and appears here as part of the Climate Desk collaboration. There are not many truly unknown places left on Earth, places where nobody knows who and what lives there, where the waterways go, or how the ecosystems operate. Eastern Angola is one of those places, and that helps explain why this place, which has little to no potential for agriculture, oil, development, or resource extraction, now finds itself with a number of suitors aspiring to protect it. This huge chunk of land, slightly larger than the state of Tennessee—flat, sandy, littered with unmapped and uncrossable waterways that sometimes change locations, like staircases in Hogwarts—could be well on its way to becoming a national park. The land is sparsely populated and fairly inhospitable; the Portuguese called it “the land of hunger” and “the land at the end of the world.” But the provisional name for the developing park is Lisima Lwa Mwondo, “the source of life” in the Bantu dialect spoken there. Over the next few years, as development and outside interests—humanitarian, capitalistic, political—continue to move into Angola, there is a rush for the do-gooders to preserve the environment. If they wait or fail, they believe, these areas, preserved to some extent by conflict and neglect, may never be the same. “Our history, in terms of war, is just one after another,” says Adjany Costa, an ichthyologist and conservationist who has spent most of her life in Luanda, the capital of Angola. 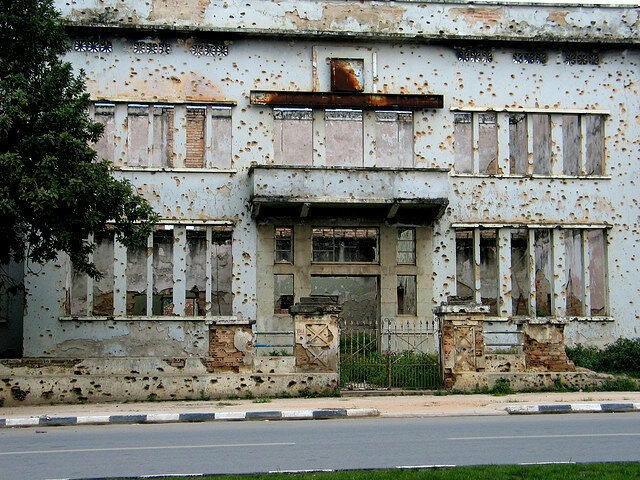 From the years before the country’s independence from Portugal in 1975 all the way until 2002, Angola suffered through successive and sometimes overlapping civil wars that can seem to blur into one long, brutal conflict. This history makes it, incredibly enough, one of the most talked-about hotspots for conservation over the past half-decade. Angola’s civil war was political rather than ethnic, with multiple entities, some of which have become political parties since the conflict’s end, fighting for control of the young country after independence. Over time, various foreign powers—the United States, the Soviet Union, South Africa, China, and Cuba—funneled arms, intelligence, and soldiers into the country to further dubious Cold War goals. The war itself is far too complicated to explain here, but it was an incredibly bloody and destructive conflict that killed more than half a million people, displaced a million more, and destroyed most of the country’s infrastructure. “The model now, since 2010, has been that all of the easy conservation areas with stable governments have been created,” says Boyes. The opportunities for large-scale conservation are in the unstable, but not-too-unstable, places. It’s obviously not advisable to attempt to establish a national park in a country with an ongoing conflict, so all sorts of competing interests, including NGOs, conservationist groups, developers, and multinational corporations, bide their time. Countries immediately post-conflict, within a decade or two, are ideal. They’re just stable enough so that you know who to talk to, but not so stable that their governments are uninterested in outside help. 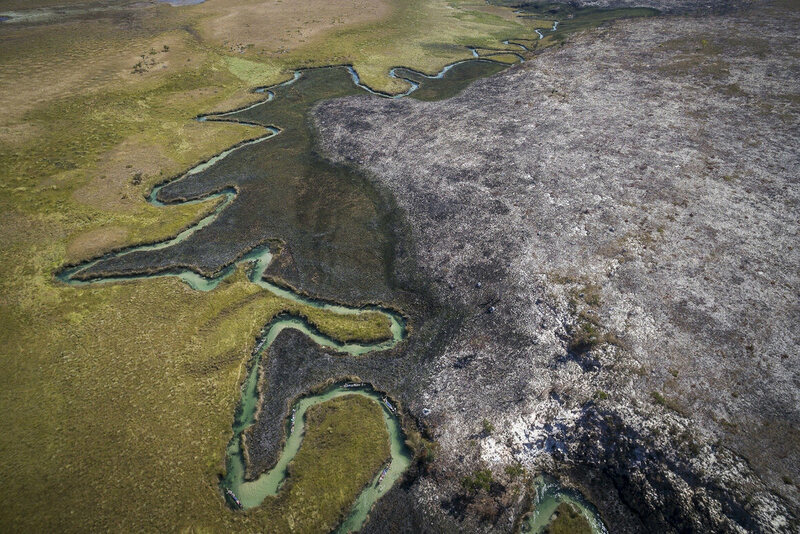 “They are often opportunities because the conflict has caused some rural depopulation and prevented some of the real large-scale land conversion; that tends to leave a lot of the habitat relatively intact, at the cost of great human misery,” says Chris Holtz, the vice president of the World Wildlife Fund (WWF)’s Earth for Life program, which aims to create networks of protected areas. Holtz has worked in Cambodia and Colombia, among other places, but without prompting he brings up Angola as one of the countries best suited for this kind of post-conflict conservation work. 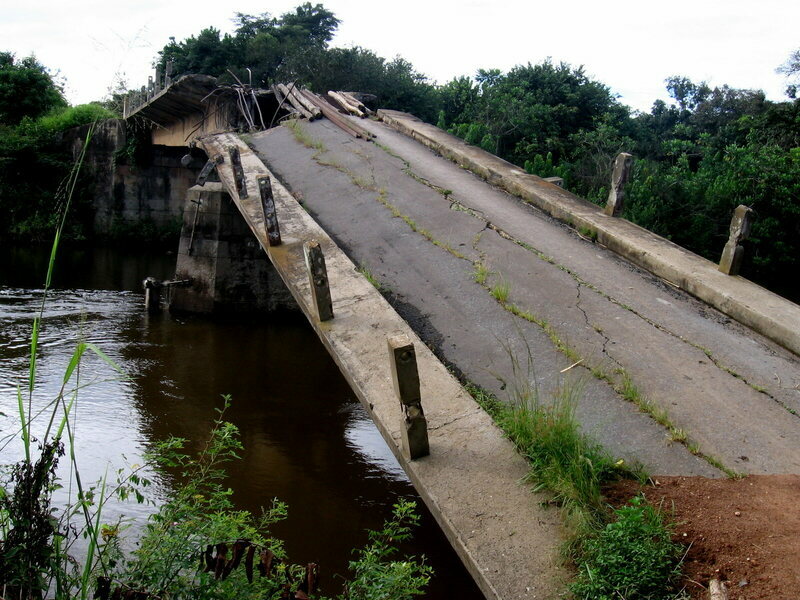 Each country and region has its own challenges, including destroyed infrastructure, a lack of training and personnel to manage conservation areas, a general dearth of scientific research, and corruption. Costa mentions one park that was so poorly mapped that it’s border doesn’t technically close. “All of them [the parks in the region] are poorly managed, there’s no money to invest in any of them and they’re all lacking infrastructure, they’re lacking people to work there, they’re lacking law enforcement, they’re lacking processes and protocols,” she says. There’s also lack of traditional knowledge due to internal displacement. Over the course of just a generation, people have forgotten how to live on the land without destroying it. One of Costa’s jobs is to simply talk to the old people to find out those sustainable secrets to nutrition, medicine, and survival. Angola has its own wrinkles, namely in its history and attitude. Its civil war wasn’t simple; it was Ludlum-esque, full of espionage, paranoia, and suspicion that have carried over. But there isn’t really time for that. Even though the area isn’t rich in extractable resources, development is knocking and neglect is a concern. Angola is the second-largest producer of oil in Africa, and despite insane governmental corruption during the latter stages of the war (billions of dollars were, according to various reports, simply stolen), that hasn’t gone unnoticed. China has lent billions to the country, with an eye on those oil reserves, and the Angolan government has proven ambitious, if not incredibly successful, at large-scale infrastructure projects, including railways, highways, and airports. 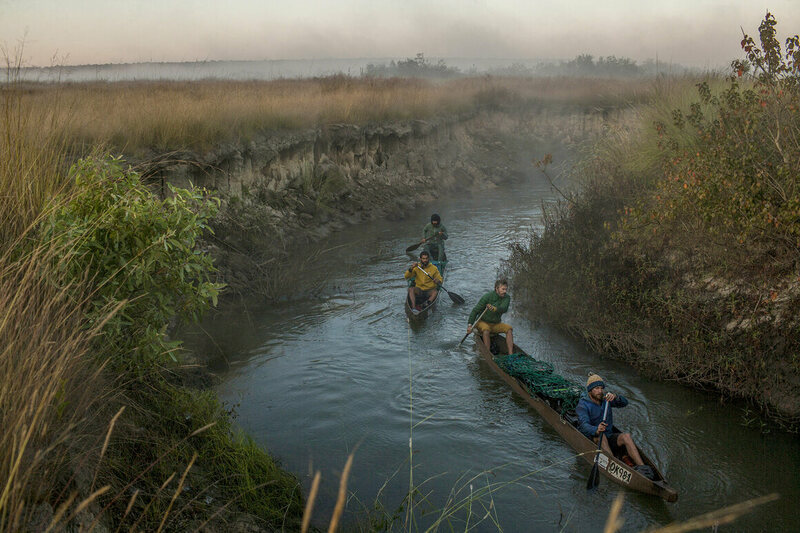 The section of the country Costa is trying to protect isn’t likely to see drilling, but without protection, it could suffer from agricultural and developmental pollution, poaching, and more. 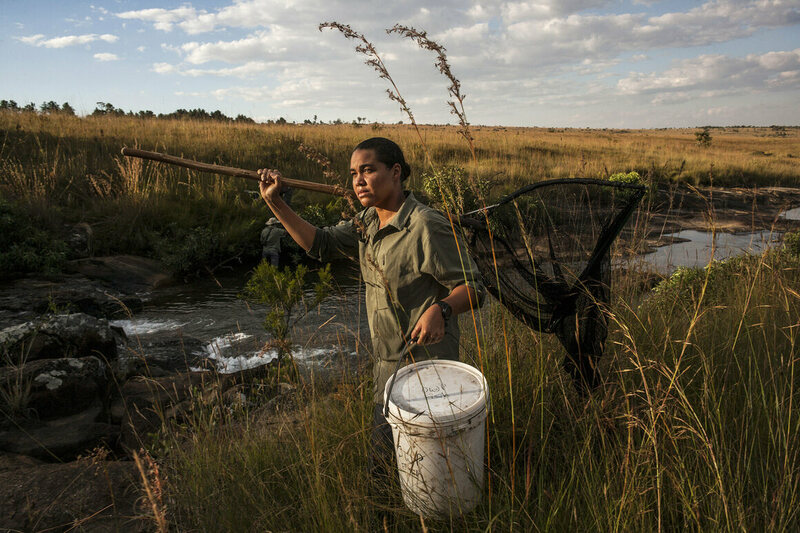 Costa, in between finishing her Ph.D. and conducting field research, is the Angola project director for the effort to get the land protected, working with the National Geographic Society and the Angolan government. The process is phenomenally complex. She and the team will have to convince the provincial governor, several ministers, the entire parliament, and the president that protecting this land is the right thing to do. She is staging, effectively, a public relations and lobbying campaign that will appeal to each tier of the government, catering to exactly what they want and need, and make that somehow not contradict what the advocates are saying to everyone else. They have to get the public on board, too, to further pressure elected officials. (They’re doing that with a series of Portuguese-language nature films, designed for an Angolan audience.) They have to figure out how to incorporate the people who live in the area as well and overcome innate institutional suspicion with a fully-realized plan that addresses every need, even if they’re in conflict. They also have to make the case that they, meaning the National Geographic Society, are the right people for the job. Costa says that various other groups have been sniffing around this region, including Paul Allen’s Vulcan NGO, the WWF, Space for Giants, and others. Their interest, like that of National Geographic’s, is both altruistic and selfish. All want to see the land protected, but they also want to be the ones to do it, and say they’ve done it. There are compelling arguments on the side of these groups in general. “Post-conflict countries often want to show that they’re rejoining the society of nations, they’re back to being normal again,” says Holtz. “Making some big statements around nature conservation, that doesn’t do it by itself, but it helps.” The biggest argument, of course, is financial. The promise of ecotourism is strong. Ethical travelers, explorers, and scientists will want to come in greater numbers. They will want to be led around by Angolan guides, they will want to stay in nice Angolan safari resorts, they will want to spend lots of money in Angola. The region, despite being marginal and difficult to traverse, is beautiful, packed with a density and variety of animals that can make it feel like a children’s book. Think an elephant browsing next to a giraffe while a herd of zebras rumble by, with impalas bounding across a river full of hippos. 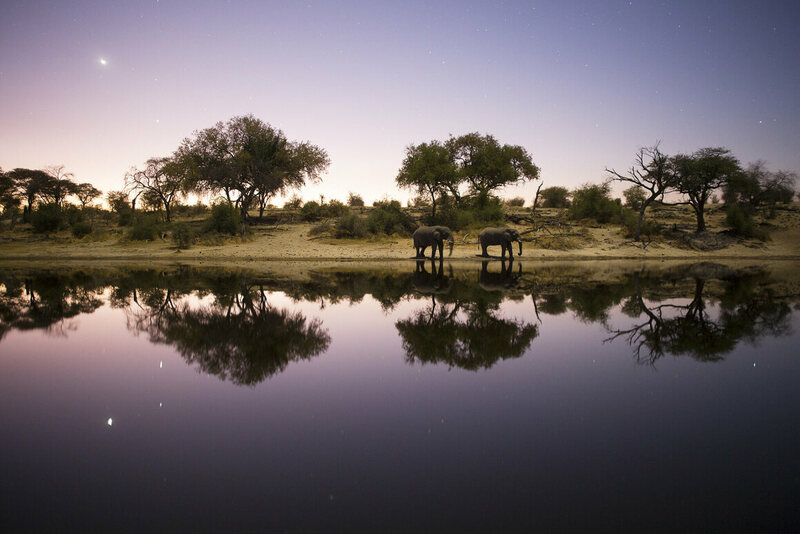 The National Geographic Society already has a foot in the door, having filmed and released a documentary, Into the Okavango, about Costa and Boyes’s trip through the region. They have a television channel, scientists on the ground, influence, and outreach. The model for this kind of development is probably Costa Rica, which weathered spasms of political violence and is now a stable, thriving ecotourist destination. Tourism brings billions of dollars into the country each year, and is the driving force for its economic success. Could Angola be next? The next step, which should happen soon,* is the signing a protocol of cooperation between the National Geographic Society (and the Wild Bird Trust, Boyes’s foundation) and the Angolan Ministry of the Environment. “In my opinion, by mid–next year , we’ll have something drafted and ready to go,” Costa says. That’s an incredibly fast progression, by design, because the greatest risk lies in waiting too long.